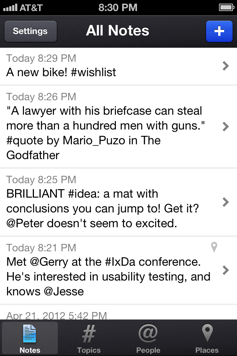 Take short, tweet-like notes to quickly capture ideas you have, people you meet, and places you explore. 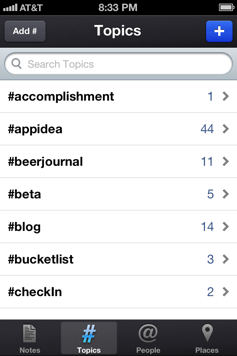 Threadnote understands that you don't have time to organize your thought before you jot it down. 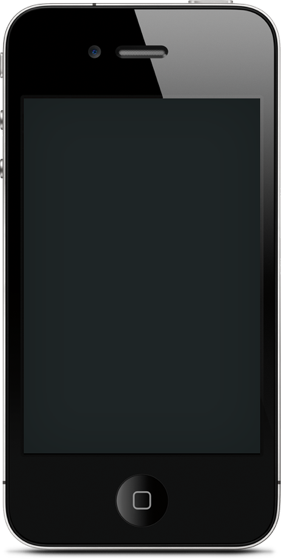 Just start typing - use #, @ or your location - and your notes will categorize themselves. One home for it all. Capturing everything in one place means you'll always know where to find them. Threadnote is private, giving you a place to store your most personal thoughts. 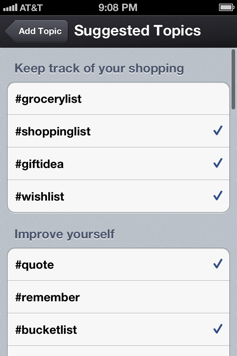 Add tags to notes by including a "#" before a word. It's the perfect way to #StayOrganized. Put an "@" before someone's name and the note becomes linked to that person. 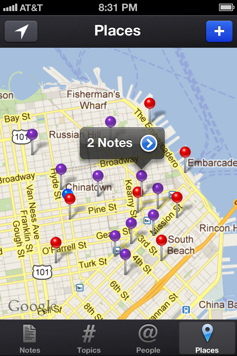 Choose to tie a note to your current (or any) location, then view your notes on a map later. 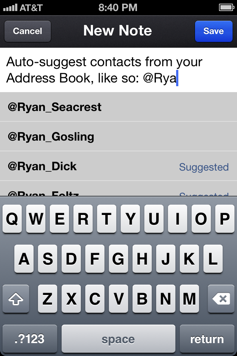 Names auto-suggested from your Address Book, easy export / sharing, and more! Capture your next big #idea the moment it hits you. Never forget a name again - jot down a bit about the person and where you met. Write down your favorite #quotes, #booksToRead, and #moviesToWatch. Have a list of great #giftIdeas ready when the holidays arrive.